Coach Thompson cites as one of his greatest accomplishments as being named Teacher of The Year not only for his campus but for the WOCCISD District in 2010-2011. 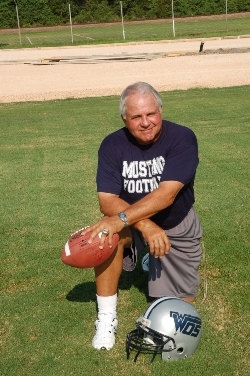 He was named Coach of the Year in 2000 by the PA News because of how well his defense performed during the football season of 2000. 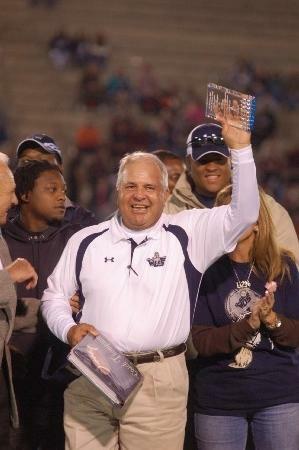 He was named Powerlifting Coach of the Year in 2011 by the Southeast Texas Coaches Association and has been named Football Coach of the Year for the last two years by the same organization. Lonestar Gridiron honored him as the 2016 4A Coach of the Year. He and his wife, Frances, have four children between them, all being WOS graduates. They are Marcus, Nikki, Michael, and Chad. They have seven grandchildren. In his spare time, Coach Thompson raises chickens and Longhorn cattle. 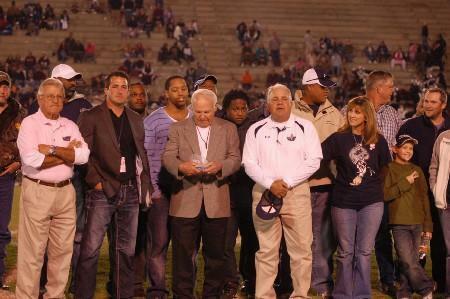 On October 29, 2010 WOCCISD recognized Coach Thomas for 40 years of coaching.